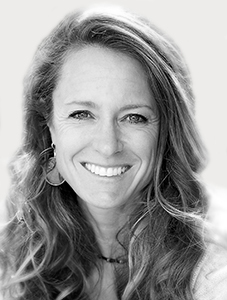 Sessions are facilitated with certified Mindfulness and Meditation Teacher, Annette Marlow. The Mindful Based Stillness Meditation (MBSM) program offered through Nexus Psychology, trains the mind to ground itself in the present moment. MBSM develops the skill of attention-regulation and allows the individual to connect to a more still and quieter part of oneself. Mindfulness has many powerful practical applications including: improving mental health, improving work, life or sports performance, managing pain, coping with illness, improving sleep, or simply increasing one’s sense of happiness and wellbeing. The Mindful Based Stillness Meditation Program is a wonderful way to expand your understanding and practice of Mindfulness. Give yourself a full appreciation and experience of Mindfulness by coming to this 4-week Introductory Program. You will leave with plenty of practical exercises, tools and tips that form the foundation for you to start developing a more mindful life. These drop in sessions are designed for those wanting to practice in a small group setting, refresh their practice and learn new techniques. Tuesday 26th March from 12pm – 12.45pm. Annette is a certified Mindfulness Meditation teacher, a registered member of Meditation Australia and has been teaching Integrative Wellness for 17 years. Annette is passionate about helping people improve their physical and mental wellbeing through Mindfulness and Mindful Movement. Her programs are designed to make Mindfulness accessible and realistic for everyone. Contact 03 9500 0751 or submit a request here to register your interest. "I have been attending the Casual Mindfulness Mediation Classes for over two years now and have found them to be extremely beneficial in learning techniques to help combat the symptoms that stress and anxiety may create in our daily life. Annette has been a great instructor and support to all those that attend her sessions and the groups are always small and friendly, which presents a casual yet, intimate atmosphere. I would definately recommend Nexus Psychology Mindulness Meditation classess to anyone wanting to improve their overall well-being and peace of mind." “I have gained so much from the course, I cant even begin to say how excellent it has been. Annette has been absolutely brilliant”.